Hello, lovelies~ Green tea has been one of my favorite drinks ever since my stressfull days back at uni. It would always help me calm down and focus on the piles of assignments I have to make. Now, it is still my favorite beverages to unwind. Knowing the huge benefits of green tea to my body (and skin), I try to incorporate it into my beauty regime. Once a week, I use the homemade green tea face mask for an antioxidant boost on my skin. Click here for the video on how to make one. 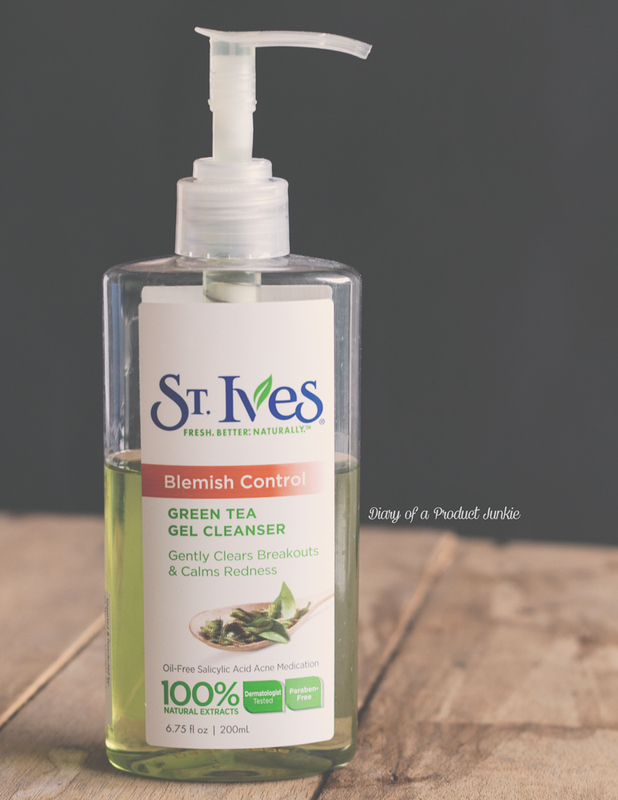 I have been trying a gel cleanser from St. Ives that contains (or so it claimed) green tea. Saw it a couple of weeks ago in Guardian, so I decided to give it a go. It contains beta hydroxy acid, which helps to prevent any future acne from popping on my face. 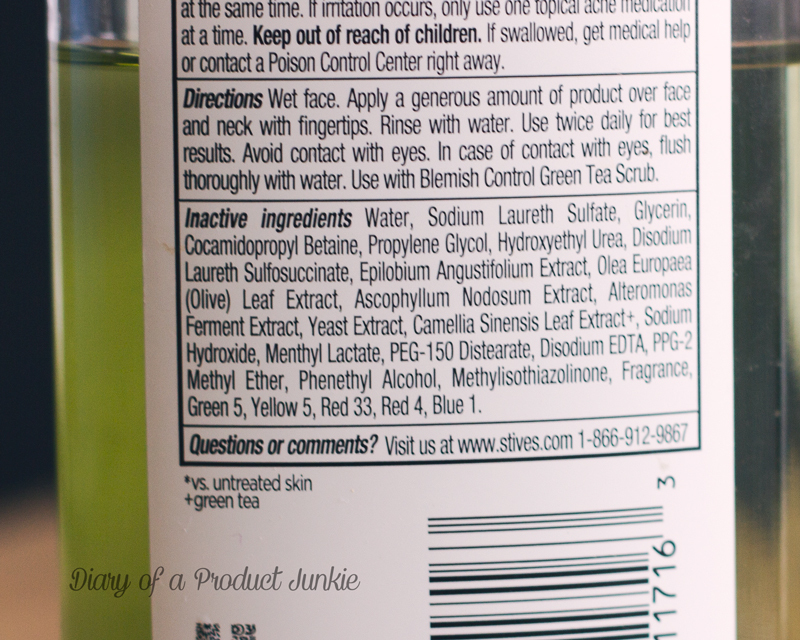 Fragrance and colorant are still present in this gel cleanser, so it may ingnite a reaction to some of you who has sensitive skin. I usually use a pump of the gel cleanser each time I wash my face. It has a tingling sensation while I massaged it on my face. There is a subtle scent, but nothing too overwhelming for my olfactory senses. After patting it dry, my face doesn't feel too tight, so that's good. So far it hasn't caused any bad reactions (itchy, redness, or acne) on my combination/oily, sensitive, acne prone skin. I bought this yesterday after reading about it in your blog, so far im loving it. It isnt drying but cleanse my skin thoroughly, leaving my skin feels so fresh and light. I also love the smell... soo good it's addictive! Thank you for sharing abt it.